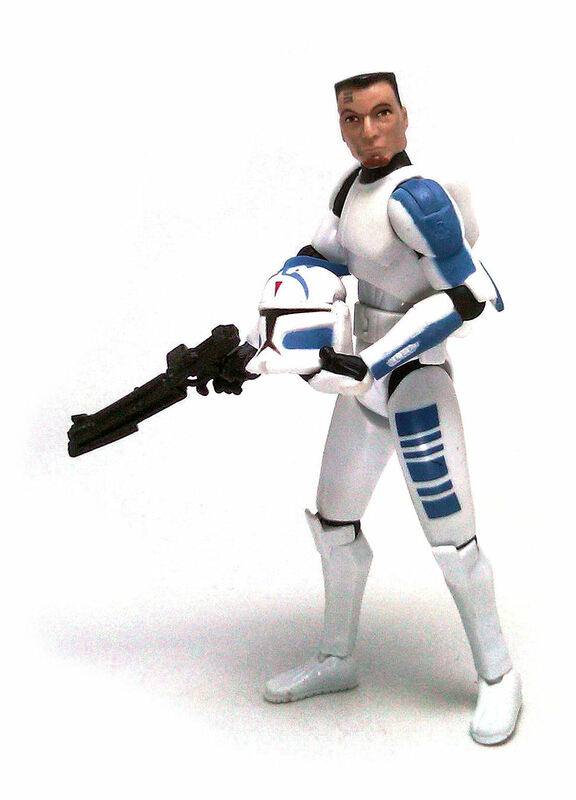 This is one of the Battle Packs released in 2011, inspired by one of the more memorable episodes in the third season of the Clone Wars TV show. The Defend Kamino Battle Pack includes three action figures, with two of them being basically repaints of each other and the third one being a kitbash with a few newly sculpted pieces. For the sake of brevity, today I’ll review the action figures that are fundamentally the same. 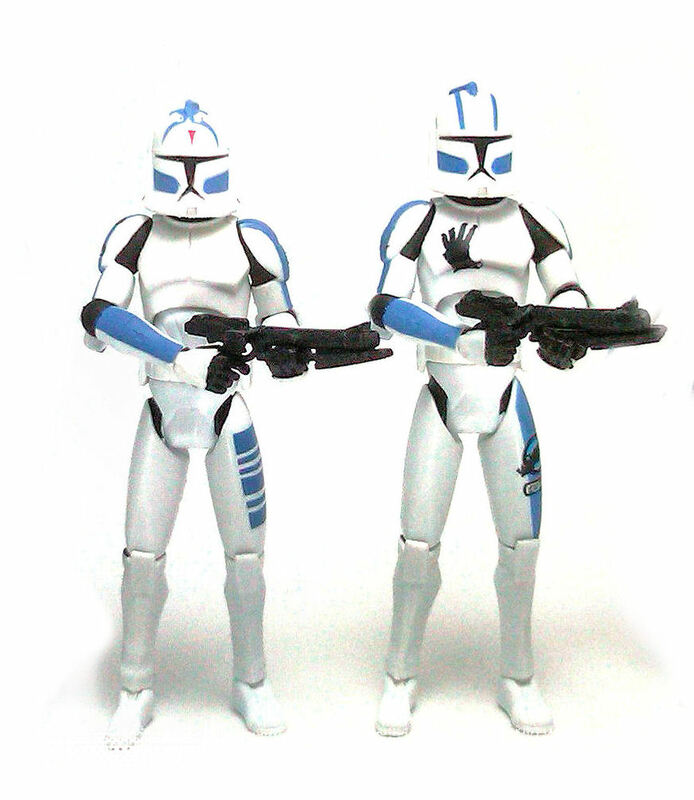 These figures are Clone Troopers Echo and Fives, both characters we have seen before in the show as rookies and now as full fledged members of the 501st Legion. 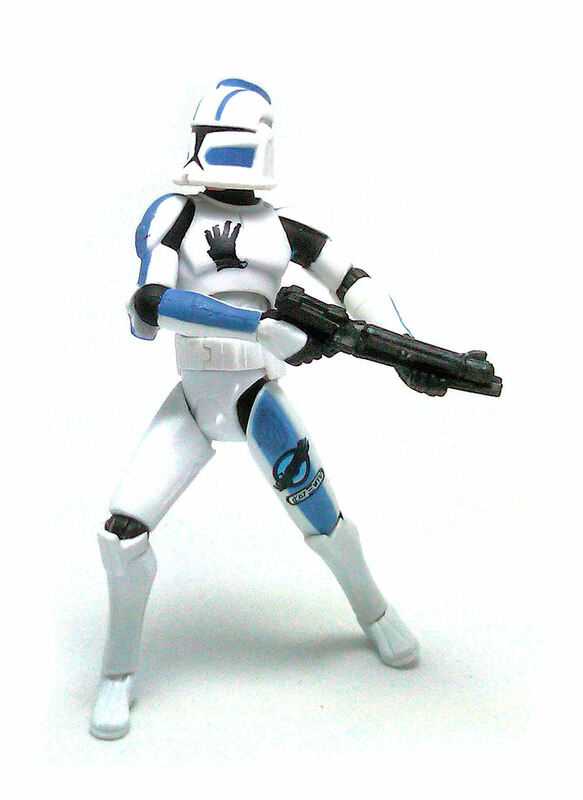 Echo is identified by the handprint over his torso, a mark given to him by Captain Rex after surviving his first battle and Fives, well, he is the other one. The head sculpts on both figures are the same under their helmets, although these are not the face sculpts used in previous waves of figures, but an updated, thinner sculpt developed to match the more recent digital models from the show. The neat thing is that thanks to their paintjob, these faces look slightly different from each other. Echo seems to have wider eyes and Fives sports an aurebesh “5” tattooed on his forehead, as well as a small goatee. 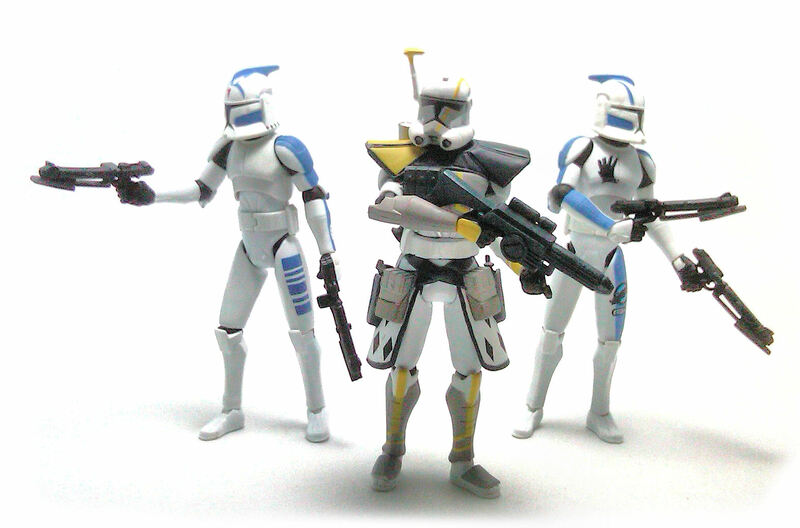 The articulation on both clones works as well as one could expect, with the usual limitations at the points where the armor design just does not allow for a full range of movement. Be wary that due to the way these figures come packaged, their limbs may appear a little bent out of the box, but this is easily fixed by submerging them in a cup of hot water for a few seconds. 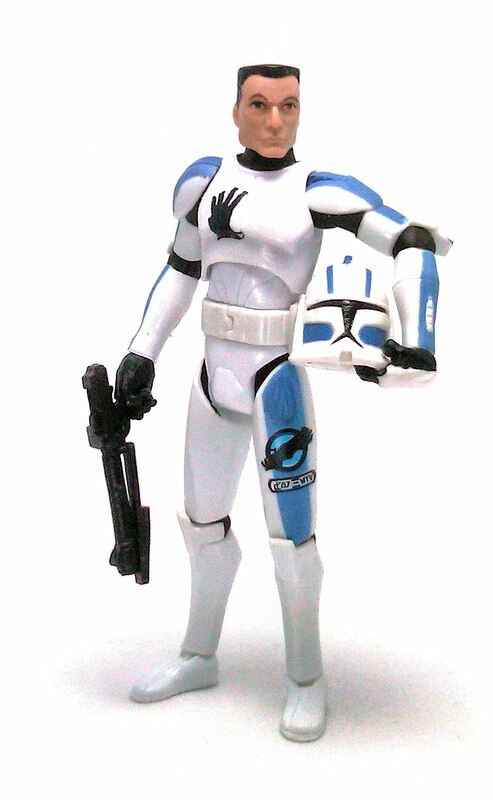 These clones also display personalized markings on their armor. Both use the same blue color but the patterns are entirely different, although both of them have the same rotary heavy blaster icon painted on different armor plates in remembrance of their fallen comrade Hevy. 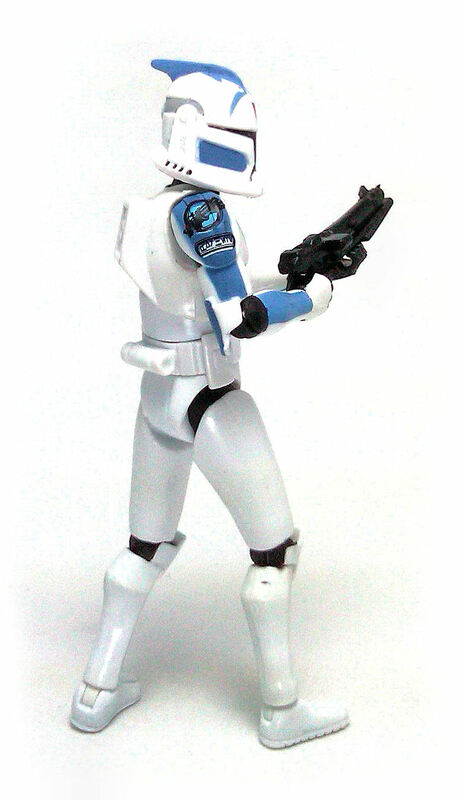 In addition to their helmets, Echo and Fives come equipped with a pair of blaster carbines and a plastic display base for each one, as well as the corresponding Galactic Battle Game cards. 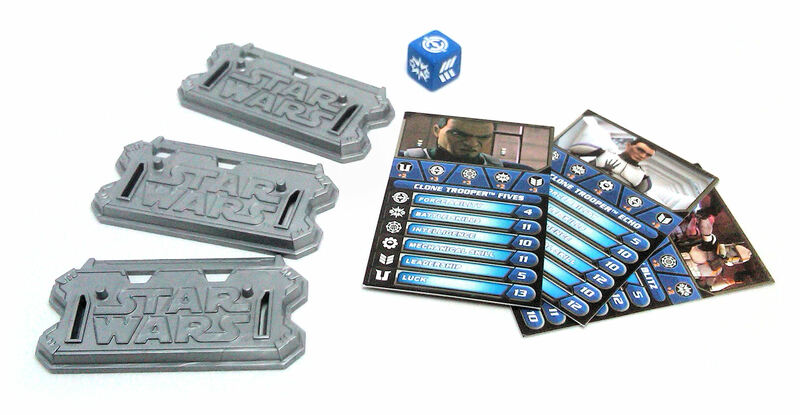 The Battle Pack includes only one blue gaming die to be shared among the three figures and a Battle Mat, which I’ll be showing you when I review the third figure included in this box, Commander Blitz. Hindsight is 20/20, they say, and I must wholeheartedly agree. Back in 2011 I did not rush out to get this set because I was a little tired of seeing clone repaints but, with the line ending and figures getting their articulation reduced in 2013, I am just glad I managed to find these guys for my collection.